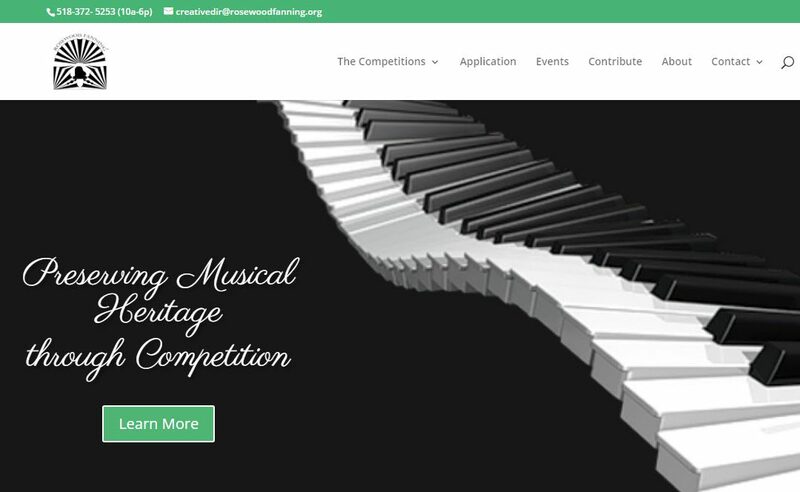 We recently started working with a local non-profit aimed at promoting classic music competitions. Rosewood Fanning will be hosting its inaugural competitions in June 2019. When we started helping the organization, their WordPress website was set up with a visual builder that was at best clunky to use. We swapped out the existing theme for the Divi theme by Elegant Themes. We find Divi exceptionally flexible and a pleasure to work with. It allows easy drag-and-drop element building right on the page, as well as a fast and easy way to update multiple elements with similar styles (Can this be accomplished via handcoding of CSS? Yes. Would that be exceptionally time consuming? Yes!) And, Divi is teachable, making it accessible to individuals without a lot of WordPress experience. The site looks very similar to its prior look. a result of the conversion to Divi, however, it is much easier to edit, saving the organization time and money. At the same time, the look of the site has readily been made more consistent from page to page, which provides value to the visitor. Rosewood Fanning also moved its hosting to GoatCloud and so enjoys a free SSL certificate to provide secure HTTPS browsing to its visitors. Visitors and search engines alike favor HTTPS sites. In short order WordPress 5.0 will ship with a visual builder, called Gutenberg, and we’re anxious to see how it compares to Divi. But for the meantime we’re glad to be using it. And also in the meantime, make sure to check out Rosewood Fanning. It’s a truly unique organization.